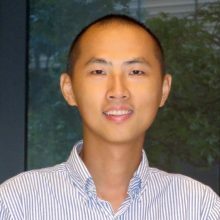 Home Research Faculty Mingyi Xie, Ph.D.
From 2005 to 2010, Dr. Xie’s Ph.D. work focused on investigating the structure and function of vertebrate telomerase, under the guidance of Dr. Julian Chen at Arizona State University. In 2010, he joined the laboratory of Dr. Joan Steitz at Yale University to study non-canonical microRNA (miRNA) biogenesis in Herpesviruses and their mammalian hosts. Dr. Xie joined the faculty at the University of Florida in September, 2016. 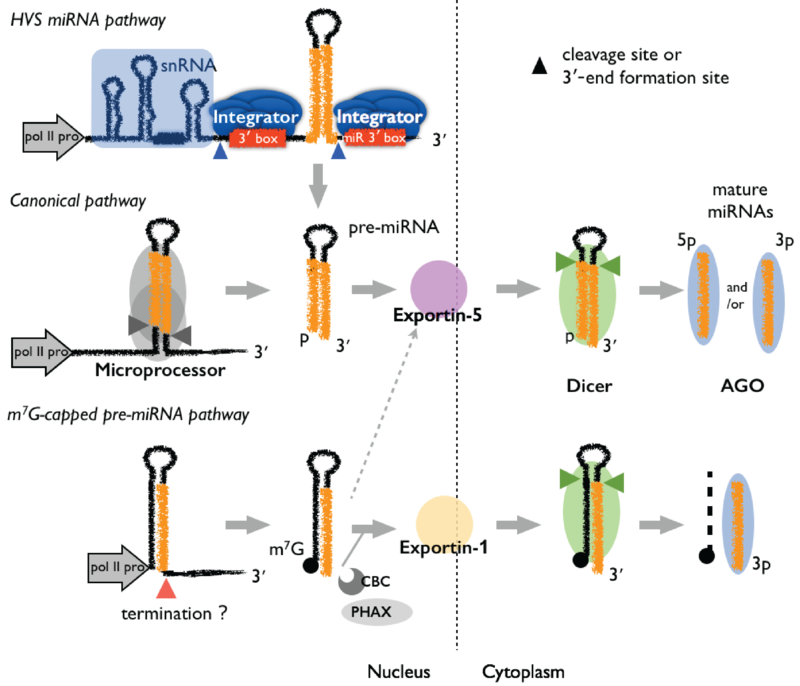 These pathways surprisingly incorporate fundamental cellular machineries involved in processing other classes of RNAs, expanding our appreciation of their impact on small RNA populations and oncogenesis. Our group’s immediate research goal is to further delineate the unique modes of miRNA production, including Integrator-mediated RNA metabolism, and understand the functions of these special miRNAs in herpesviruses and their hosts. Such research will allow the design of therapies for related oncogenic herpesviruses and cancers. Figure 1. The canonical miRNA biogenesis pathway (middle panel) is compared to alternative pathways for HVS miRNAs (top panel) and m7G-capped pre-miRNAs (bottom panel). Mature miRNAs are in orange.